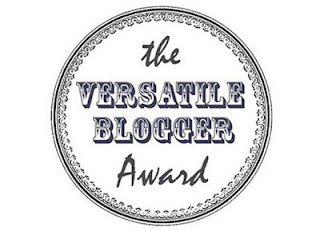 Today's post is not a review, I was nominated for the Versatile Blogger Award by Caitlin ! check out here blog its really amazing! Thanks, it’s my first post of that kind and my first nomination. 2) since starting using Korean skin care products, I have become more aware and concerned of my skin condition, make up is now less important. 3) I love to travel the whole world and try many kinds of beauty products, traditional secrets, modern technology etc. 4) I don’t have favorite music, I like many styles bands, etc. These were just random thinks about me. Here below I have nominated several blogs, you should check them, all awesome blog’s. Wow, you speak a lot of languages, that's so impressive! Thanks for reading, can I ask you what do you use on your hair? some good tips? Thank you for the nomination! What Korean skincare products do you recommend? Sorry for the late reply, just back from holiday. I recommend the brands Missha, etude house, nature republic,mizon if you are on budget. Sulwhasoo, Laneige and SUM37 if you want a more luxury brand. Out of all the many languages you speak, which one is the one you dream in? This is a question I hear often ;D Actually, I don't know which is strange but I don't remember it in the morning. It probably depends on the context I guess. German is actually not so difficult as it seems at first, I would say french is more difficult. Aww.. very impressive, hun! Wish I can also speak languages like you can!